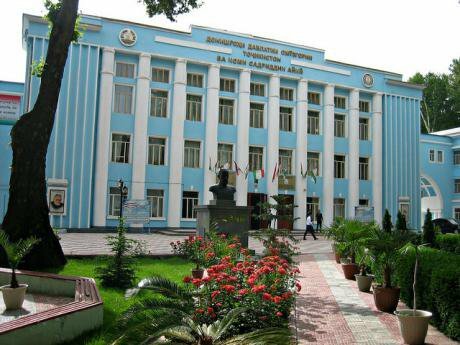 Tajik State Pedagogical University. Photo CC BY 2.0: Flickr / Prince Roy. Some rights reserved.I read with interest Edward Schatz’s and John Heathershaw’s recent article published on EurasiaNet under the title “Academic Freedom in Tajikistan Endangered: What is to be done?” While the authors rightly characterise the Tajik government’s attempts to tighten control over the academic sphere, I find their conclusions problematic. Partnerships with local institutions should be terminated, the authors argue, and the academic and ethical validity of any research conducted with such partnerships should be questioned. But by calling for the isolation of the country’s academic sphere, Schatz and Heathershaw risk further endangering academic freedom in Tajikistan. The issues with this article and its conclusion are manifold. As it is so often the case, there is something that needs to be done about countries such as Tajikistan: something that can be done only by western outsiders. The country itself becomes the problem, and should be avoided wholesale. I would suggest that Schatz and Heathershaw are misguided in their call for Tajikistan’s isolation. This is not to say that there aren’t problems in the country’s academic sphere. But the authors’ understanding of the situation is flawed, and their proposed solutions only likely to exacerbate matters. Reading the article, one may be forgiven if they conjure up images of a traditionally thriving academic environment in Tajikistan, with various partnerships between foreign and local educational institutions. The situation, however, is quite different. Tajikistan is a small mountainous country in Central Asia of little strategic importance (especially as the interest in Afghanistan, with which Tajikistan shares its southern border, has dwindled) and with limited economic resources. In short, few people are interested in the country, including in academia, as academic interest is also political. Those of us who study Tajikistan find ourselves marginalised in the job market, at conferences, and in academic discussions. In such a context partnerships are rare, a situation that has remained unchanged since the demise of the Soviet Union in 1991 and the country’s civil war (1992-1997). However, there are some existing partnerships that can help to explain the actual academic environment in Tajikistan. I shall touch upon two kinds of partnerships that I have observed and in which I have participated. Sometimes, foreign educational establishments do form partnerships with local Tajik institutions or researchers. Last year, while working with Rugo (a pseudonym for a local research company), I was asked by some confused colleagues to figure out what some “Germans” who had emailed them wanted. The “Germans,” it turned out, represented a network of European universities that wanted Rugo to collaborate in putting together a proposal for significant EU funding. At first, I was surprised by their choice: Rugo isn’t an academic institution, but a firm specialising in data collection for international organisations. The “Germans,” as I later learned, had gone to Washington to find some “Tajiks”. There, they had spoken to a Tajik journalist living in the US who suggested contacting Rugo because he was friend with the company’s director. I was tasked with developing the Tajik side of the proposal within a predefined thematic framework, as well as with identifying appropriate researchers. None of us could afford to go to Germany for a planning meeting with our partners, so I sat in on meetings online. We weren’t given any feedback on our contribution and, throughout the process, Rugo was simply reacting to the Germans’ requests. As I so often experienced in this kind of situation, the themes and topics of the research were not defined in Tajikistan. Rugo is a well-established institution in Tajikistan and, at least in part, its reputation comes from having worked with many international organisations. As the director put it to me one day, however, they were still engaged in doing the “dirty work” for others: they were a data collection hub for international experts. In other words, Rugo was involved in a knowledge production hierarchy, where raw data came from the periphery (Tajikistan), while its analysis was done in metropolitan centres by “experts,” many with little to no experience or interest in Central Asia. The reason for this was that, as it was often said, “locals could not analyse”: analysis was presented as some sort of an inherent skill of outsiders, which locals could neither possess nor develop. Schatz and Heathershaw argue that an extractive relationship between foreign and local researchers was a common occurrence only in the 1990s. But this continues to this very day, with established professors and experts working in the west hiring local firms, such as Rugo, or often underpaid local researchers to collect data for them. Sometimes, local researchers are also hired to conduct sensitive research where the potential risks are considered too high for outsiders. The relationship is also strongly hierarchical. As a local, and a local woman, I was hardly ever taken seriously by foreign researchers. Instead, it was my white and foreign husband, a PhD student at the time, who was often consulted by foreign graduate students for advice about conducting research in Tajikistan. When meeting the (often male) foreign researchers, I was rarely asked about my own research, and was instead treated as an exotic local wife who had nothing to add to important conversations about Tajikistan. Some researchers would ask me if I could work as an assistant for someone who was in need of a person to help them with data collection or translation. Patriarchy is not a trait exclusive to the Tajik context, although there, too, local men would introduce me to others as a translator, or simply disregard my critique of local state institutions or initiatives because I was a young woman. The behaviour of western researchers in Tajikistan was frequently the same, part and parcel of the patriarchal spirit I also encountered in western classrooms. Another type of academic partnerships in Tajikistan are those established between foreign PhD researchers, on the one hand, and local educational institutions, on the other. These relationships are usually necessary for the former to conduct research in Tajikistan and, in my experience, have been growing more frequent and are much more equal. In Tajikistan’s capital Dushanbe in 2014, I met numerous researchers who were all conducting long-term research on various topics. They learnt local languages, partnered with local universities, and many presented their work and findings locally. These relationships involved an enormous effort on their part to cultivate relationships of trust with local academics, who in turn risked their positions to help them to become affiliated and receive formal access to archives, fieldwork, and the academic community. As the academic institutions involved were often Tajik state institutions, in practice these are the partnerships that Schatz and Heathershaw call ethically and academically questionable. While it is true that certain types of research – notably touching on political issues – are becoming more difficult to conduct openly in Tajikistan, Schatz and Heathershaw infer that as space closes for some foreign researchers to conduct fieldwork, no valid research can come out of the country at all. This claim is problematic as it invokes the image of an all-encompassing “authoritarian” state, where anyone associated with said state becomes complicit in its “authoritarianism.” It assumes both that the whole “state” is bad and an opposition between the state and the people. This disregards the kind of politics and heterogeneity that actually exists within such a state. Last year, I participated in a meeting at the Tajik Academy of Sciences, during which one researcher presented his work on migration and strongly critiqued the Tajik Ministry of Labour. Towards the end of the meeting, another woman lashed out at corrupt officials in the government who are aware of the problems migrant workers face, but fail to step in and resolve them. These were state employees living and working in Tajikistan, who openly voiced a critique of their colleagues. While there are a good number of intellectuals who do pay lip service to the government, there are also many others who tacitly or openly provide critique and commentary on political developments in the country. Many of them are employees of local state institutions. Such critique often happens on local terms and without overt proclamations or accusations of authoritarianism, but the context is clear for everyone to understand. Paradoxically, the only time I can recall being censored in Tajikistan was at a conference organized by the OSCE, where foreign expatriates suggested that my views were “too critical”. Instead of acknowledging this ambiguous and heterogeneous environment, however, arguments such as Schatz and Heathershaw’s invoke the discursive category of “authoritarian,” which evokes in the popular imagination an all-encompassing police state creeping into people’s homes and lives. The general assumption is that such state is simply unliveable. My critique doesn’t deny the existence of increasingly controlling state practices in Tajikistan. As in other authoritarian cases, authoritarianism refers both to the actual practices of control and suppression, and to the wider field of what can be voiced and what should be silenced: therefore, it is inherently bad and should never be defended. Yet, the academic literature and my own experience of studying bureaucracy in Tajikistan illustrate that even in such increasingly controlling environments politics and negotiation do continue. Instead of juxtaposing the state and the people, the strict divisions between state and non-state actors should instead be problematised. By calling for a boycott or blacklist of Tajik institutions, western academics may feel that they are trying to affect positive change on the ground. Alas, they appear to disregard the actual political existence of the people who live and work in such environments. The blind spot of this discursive construction of “authoritarianism” is precisely the context and politics of those who have no choice but to live and make the most of their lives in what we call “authoritarian states”. These are the same individuals who are the most in need of the academic partnerships Schatz and Heathershaw suggest should be terminated – and those who stand to lose the most from a boycott. We should, of course, be considerate of the type and form of research being conducted in Tajikistan. Yet when we evaluate the academic validity of research it should be based on the quality of the research in question. While strict ethical principles should underpin any research undertaken in any environment, this cannot mean that engagement with the local academic community in Tajikistan automatically raise ethical concerns. A boycott or blacklist would further contribute to the marginalisation of the voices of those living, working, and operating in an already difficult environment. Local research is already penalised not only by restrictions on what can be said, but also by the absence of research funds, good publishing houses, and access to translated works. Ironically, further isolating the Tajik academic community would complement the government’s efforts of increasing surveillance. I can see no benefit of further isolation for Tajikistan or its academic community. If calls for boycotts and blacklists are voiced, it would be useful to elaborate exactly how and when these would bear any fruit and what sort of fruit, exactly, this would be. In my view, the isolation of academia and local knowledge production is not the answer to increasingly authoritarian state practices. Removing the scarce resources that are available to local institutions and researchers though small grants or partnerships will only further undermine the legitimacy and independence of Tajik academia.